The Lac du Bonnet Arena offers a full range of activities from youth to adult programs in both hockey and figure skating. 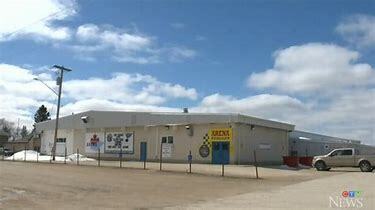 The arena is home to the Lac du Bonnet Blues Senior Hockey Club as well as home of Kyle Kettles #35 (Stats Sheet). Kyle was drafted by the Nashville Predators round 7 #205 overall 1999 NHL Entry Draft. Kyle signed as free agent by Minnesota Wild, April 23, 2002 and played out his career with the Louisiana IceGators [ECHL] and the Houston Aeros (AHL).